Hooray for snow days! Last year my children had A LOT of them. 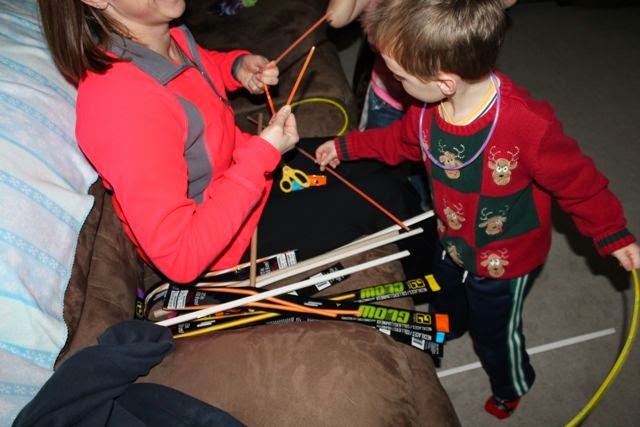 There were so many snow days students were required to make up missed time in the classroom by completing "Blizzard Bags"at home. I thought, Wait! Snow days are supposed to be fun! They should be filled with snowballs, sledding, snowmen, and HOT CHOCOLATE! Not homework! This week we enjoyed the second of our first two snow days of the year by celebrating the birthday of Theodore Taylor III, one of our favorite illustrators we met at the 2014 National Book Festival. He is also one of BookPage's Top Ten Children's Illustrators to Watch. 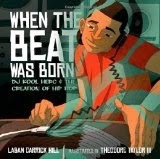 Theodore Taylor III is the illustrator of When the Beat Was Born: DJ Kool Herc and the Creation of Hip Hop by Laban Carrick Hill. For this book he was awarded the Coretta Scott King - John Steptoe Award for New Talent. The opportunity to illustrate the book came after a designer at Roaring Brook Press was impressed with his portfolio of illustrations on Flickr featuring artwork of famous musicians and album covers. (The Brown Bookshelf). He offered some advice during his presentation at the National Book Festival, "Don't be afraid to share your work online." 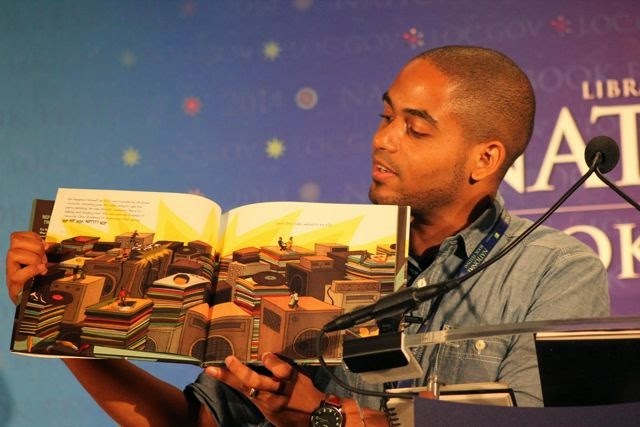 Before breaking into the children's book industry Theodore Taylor III graduated from Virginia Commonwealth University with a degree in Communication Arts. Upon graduation, he worked as production assistant for a web design firm and as a freelance illustrator. His next children's book is Little Shaq, written by Shaquille O'Neal which is set to be released in October of 2015. It will be the first book in a series of three! 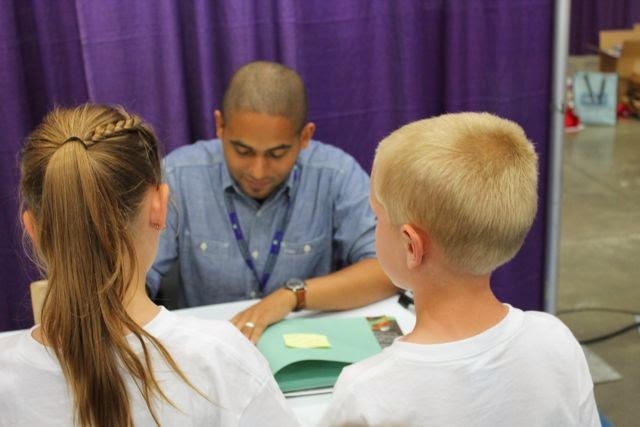 Our family went to Theodore Taylor III's presentation at the National Book Festival. He taught us the four main elements of Hip-Hop; rapping, DJing, break-dancing, and graffiti. 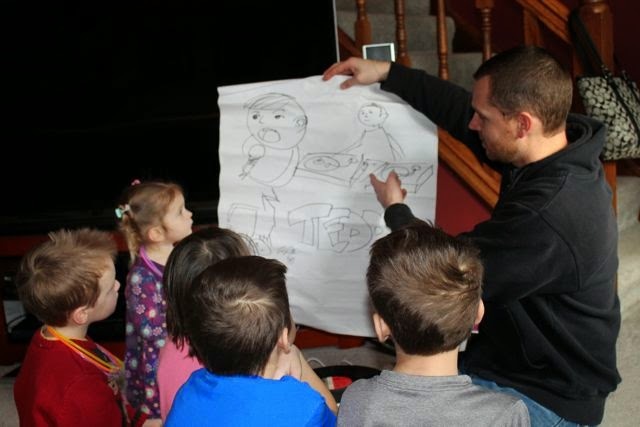 He drew the four elements and shared how DJ Kool Herc created Hip-Hop with two turntables by playing two records back-to-back to extend parts of the songs people loved dancing to. In When the Beat Was Born: DJ Kool Herc and the Creation of Hip Hop, we learned that DJ Kool Herc took his dance parties to the streets and parks of the Bronx where street gangs "wanted to dance, not fight". 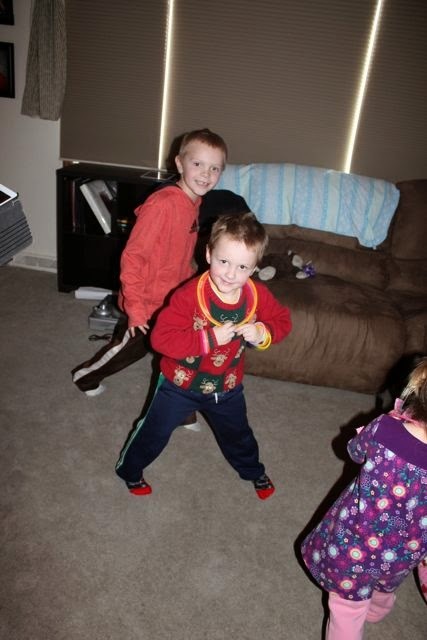 The gangs became break-dancing crews and showed off their best moves. Is Theodore Taylor a break-dancer? "No, but I wish I was." (National Book Festival). 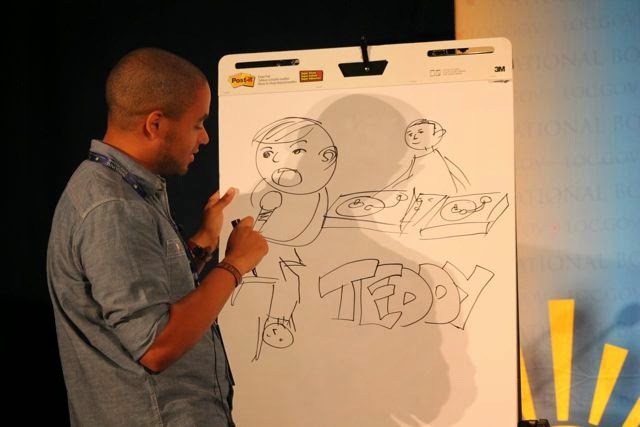 Theodore Taylor III draws the four elements of Hip-Hop. After the presentation my oldest two children and I were gathering up our gear while the volunteers from the festival were helping Theodore Taylor III get ready to go to his book signing. I saw that someone was removing his illustration of the four elements of Hip-Hop from the easel. I told my daughter, "Go up there and ask them for the drawing." She said, "No, you go up." I told her that they wouldn't give it to an old guy like me, but I bet they would give it to you. Before I knew it she was quickly walking up to the stage and asked the volunteer if she could have the poster. Then, I noticed there was a discussion and the volunteer had a big smile on her face. Then, she waved me to come up to the front and upon my arrival she said, "Sending your daughter to do your dirty work, huh?" I admitted, "Absolutely." My daughter called me out, we had a few laughs, and Theodore Taylor III graciously signed the poster for us to take home! After the presentation we were able to get our book signed too! 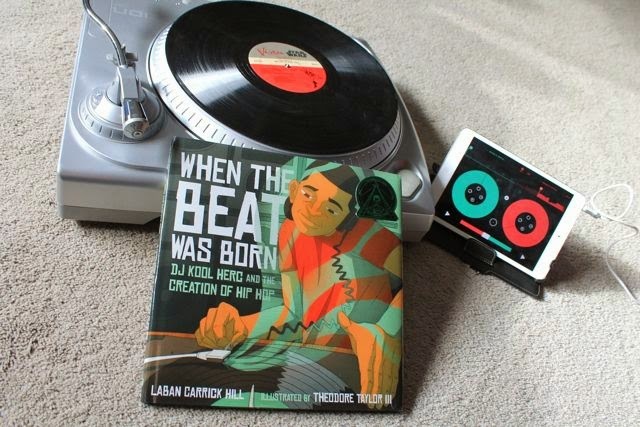 I have been planning with a friend, who has a special love of hip hop, to get our families together to read When the Beat was Born and a dance party since the day I learned Theodore Taylor III's birthday. Thankfully, a snow day provided the perfect day to celebrate. I guess technically it was a "Cold Day". 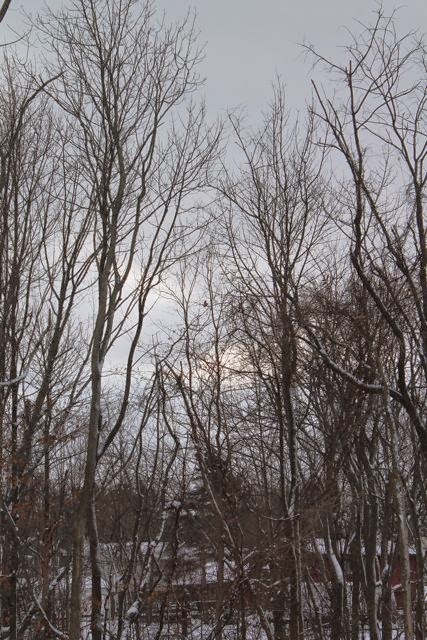 Temperatures were below zero and wind chills were close to -20 degrees below zero. 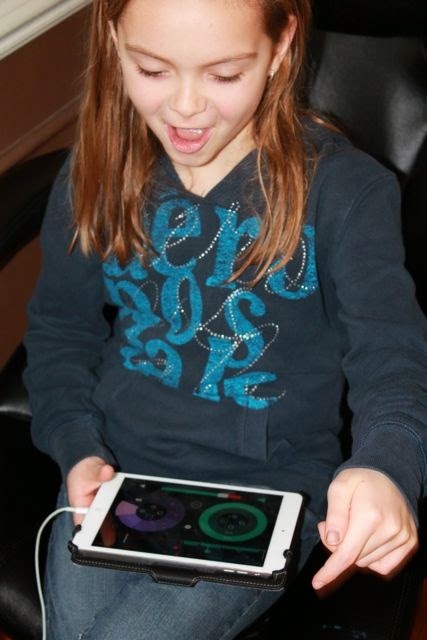 In preparation for our dance party my daughter and I downloaded Pacemaker, a free app for the iPad. 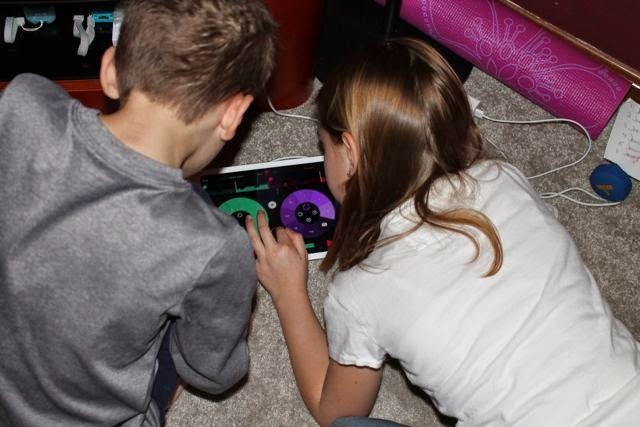 It allowed us to create our own mixes using two virtual turntables. 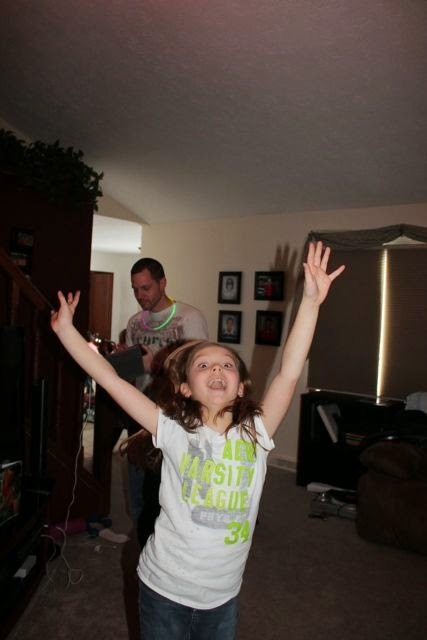 My daughter loved mixing her favorite songs. 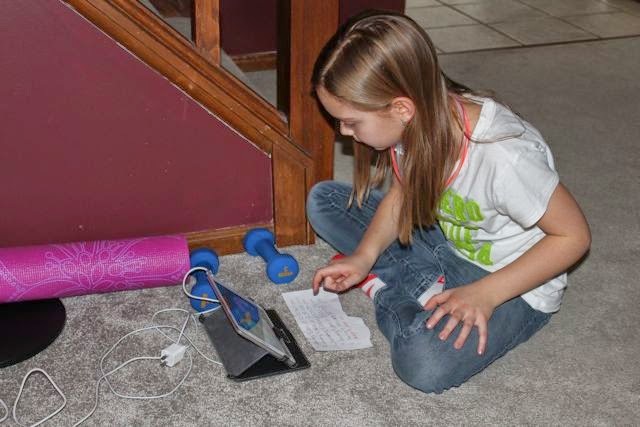 She recorded her mixes to share with her friends for the dance party. 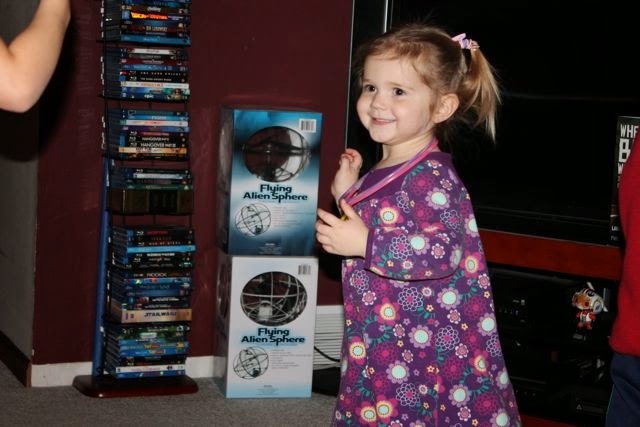 She couldn't wait to be a DJ! 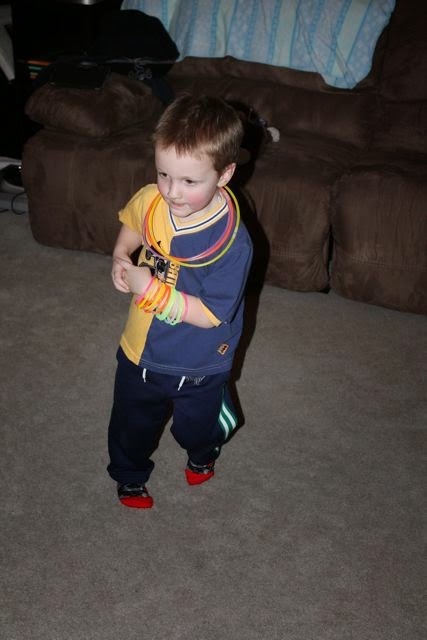 Once at our friend's house, which has a super loud stereo system, all the kids got glow sticks to wear for the dance party! Before we danced we read When the Beat was Born. 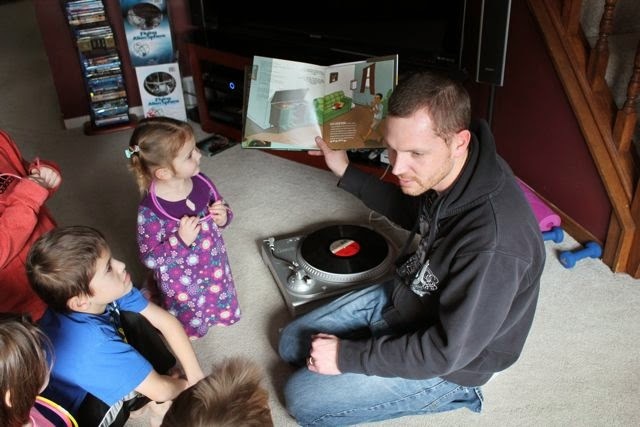 I had to explain what a record was. We talked about the four elements of Hip-Hop using the poster that Theodore Taylor III drew at the National Book Festival. 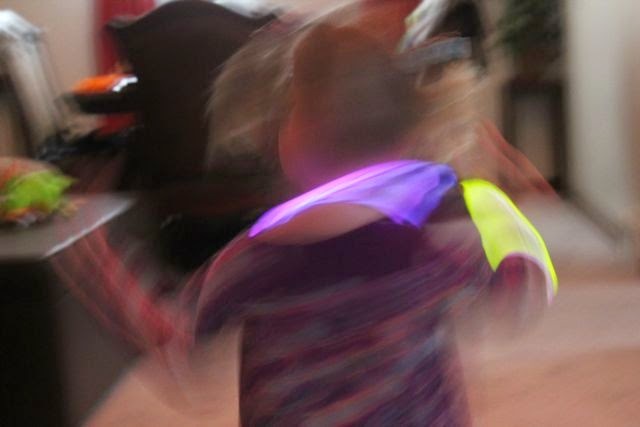 DJ Daughter got the party started! 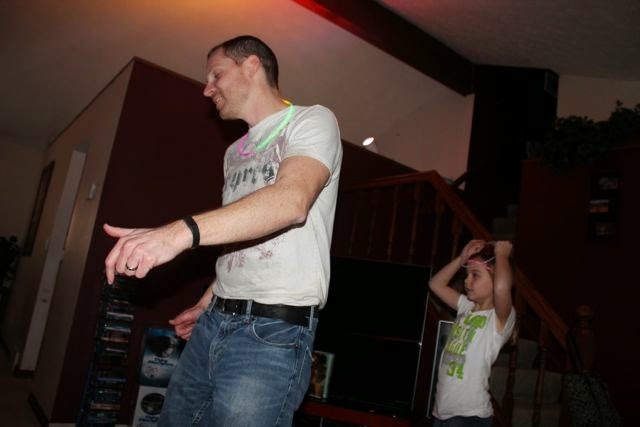 Of course, I got my groove on! 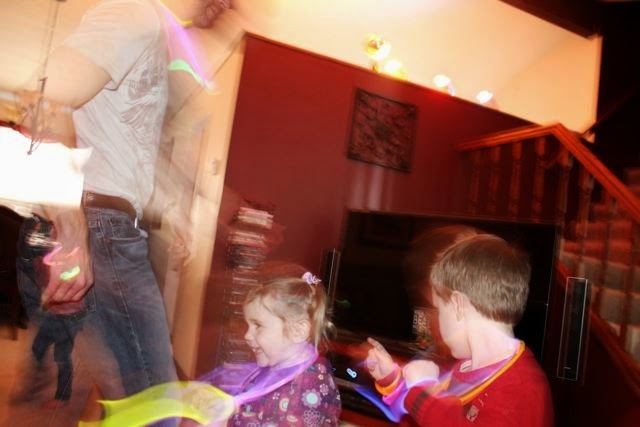 This dude had the coolest moves on the dance floor! 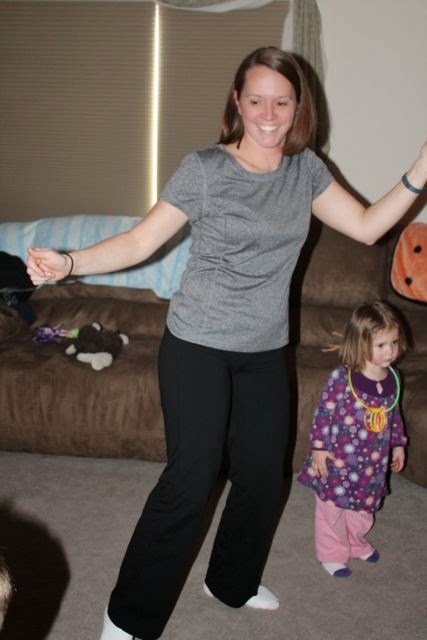 The best thing about snow days is that we get Mom home too! This was a great way to spend a snow day. 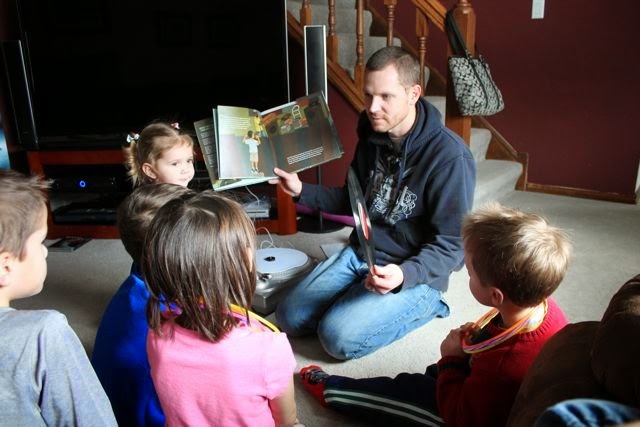 We didn't need a "Blizzard Bag" to learn something new today. My two oldest children will be able to tell their teachers the four elements of Hip-Hop when they return to school. Teddy, thank you for sharing your birthday with us! We love your book and can't wait for the Little Shaq books! We hope you have a great birthday! Please Pin this Picture! Follow Happy Birthday Author on Pinterest!